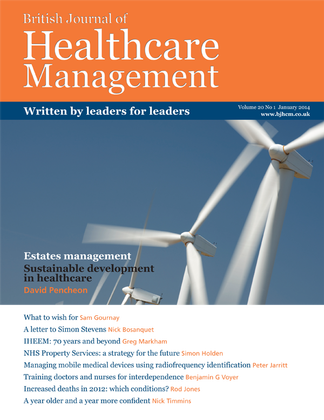 British Journal of Healthcare Management is the independent monthly journal that makes essential reading for all health service managers, policymakers, influencers and commentators. With a subscription to British Journal of Healthcare Management you can ensure that you keep up-to-date with articles on the latest issues and thinking surrounding the management of the NHS. Be the first person to tell us what you think about British Journal of Healthcare Management and you'll save £2.50 on your next purchase!